Join us on Friday, April 19, at 7:00pm for this special service where we will remember Christ's sacrifice on the cross. We'll sing together, take communion as a community, and participate in an incredibly meaningful presentation by David Brickner from Jews for Jesus. David will re-create the traditional Passover meal and explain how it foreshadowed Jesus' death and resurrection in a presentation called "Christ in the Passover." David will set a table with items traditionally used at the Passover meal and detail their spiritual significance. 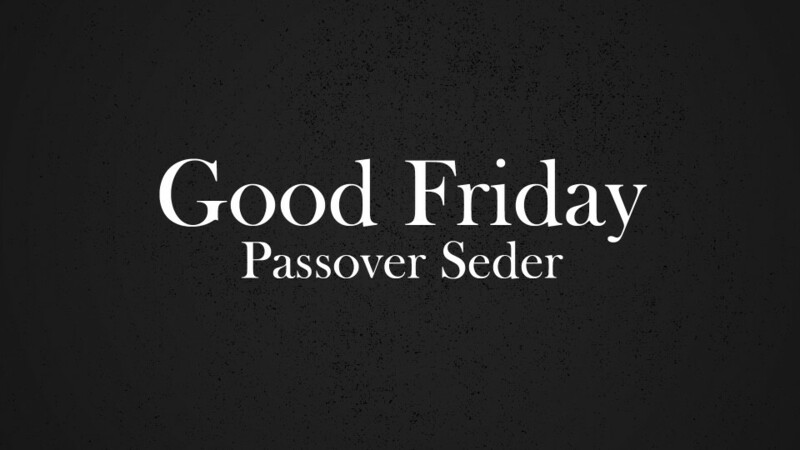 He will also explain the connection between the events of the first Passover in Egypt and the redemption that Jesus accomplished, as well as the deep bond between the ancient Passover feast and the Christian communion celebration today. Nursery care will be provided during this service.